and generate a new array containing its 2nd and 4th rows. elementwise with the array b = np.array([1., 5, 10, 15, 20]). (Hint: np.newaxis). Harder one: Generate a 10 x 3 array of random numbers (in range [0,1]). For each row, pick the number closest to 0.5. Use abs and argsort to find the column j closest for each row. Here are a few images we will be able to obtain with our manipulations: use different colormaps, crop the image, change some parts of the image. Let’s use the imshow function of pylab to display the image. specified for it to be displayed in grey. remove 100 pixels from all the borders of the image. To check the result, display this new array with imshow. face_locket.py then execute this script in IPython with %run face_locket.py. Change the circle to an ellipsoid. The mean and std of the populations of each species for the years in the period. Which year each species had the largest population. 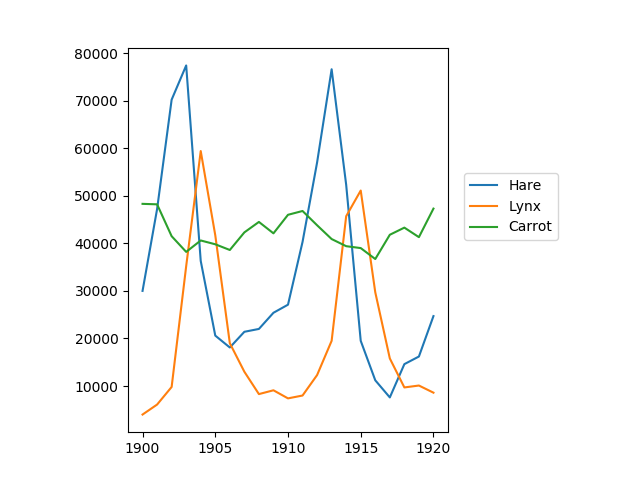 Compare (plot) the change in hare population (see help(np.gradient)) and the number of lynxes. 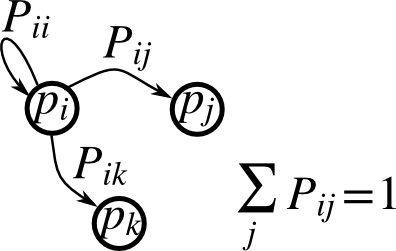 Check correlation (see help(np.corrcoef)). Write a function f(a, b, c) that returns . Form a 24x12x6 array containing its values in parameter ranges [0,1] x [0,1] x [0,1]. over this volume with the mean. The exact result is: — what is your relative error? 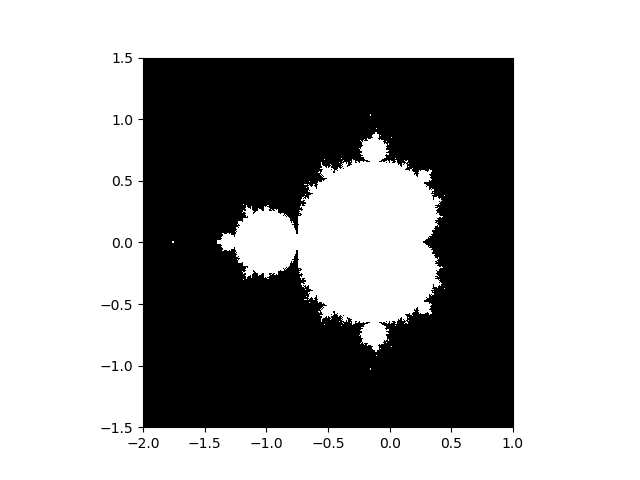 Point (x, y) belongs to the Mandelbrot set if < some_threshold. Constructs a random matrix, and normalizes each row so that it is a transition matrix. Toolbox: np.random.rand, .dot(), np.linalg.eig, reductions, abs(), argmin, comparisons, all, np.linalg.norm, etc.